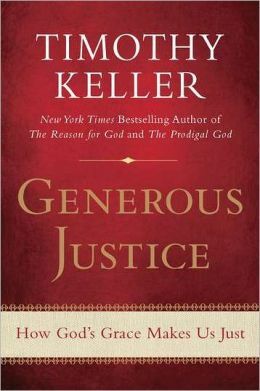 Norm Geisler has been a prominent defender of the Christian faith for a number of years. 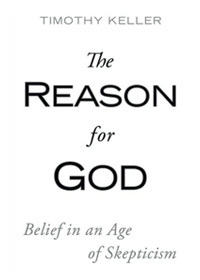 He is the author or coauthor of several important books on apologetics (the defense of the faith), including I Don’t Have Enough Faith to Be an Atheist, Baker Encyclopedia of Christian Apologetics, and Christian Apologetics. 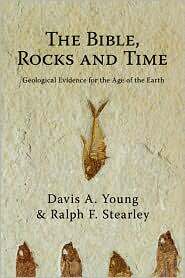 In order to establish the Young Earth view, one must demonstrate that there are (1) no time gaps in the biblical record and that (2) the “days” of Genesis are six successive 24-hour days of creation. Unfortunately for Young Earthers, these two premises are difficult to establish for many reasons. So with both possible and actual demonstrable gaps in Genesis and in the genealogies, the “Closed-Chronology” view needed to support the strict Young Earth view is not there. This would mean that a Young Earth view of creation around 4000 B.C. would not be feasible. And once more gaps are admitted, then when does it cease to be a Young Earth view? (1) First, the word “day” (Hb. <em>yom</em>) is not limited to a 24-hour day in the creation record. For instance, it is used of 12 hours of light or daytime (in Gen.1:4-5a). (3) Further, in Genesis 2:4 the word “day” is used of all six days of creation when it looks back over all six days of creation and affirms: “These are the generations of the heavens and the earth when they were created in the day [yom] that the LORD God made them” (Gen. 2:4). 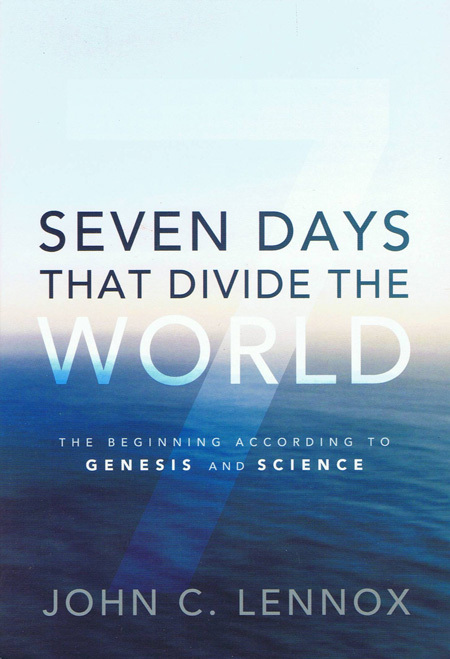 If there is evidence for Gaps in Genesis and a longer period of time involved in the six day of Genesis, then the Young Earth view fails to convincingly support its two pillars. At a minimum it leaves room for reasonable doubt. In view of this, one can ask why is it that many still cling to the Young Earth view with such tenacity as to make it a virtual test for orthodoxy? There is no air-tight case for a Young Earth view from a biblical point of view. So while a Young Earth may be compatible with inerrancy, nonetheless, inerrancy does not necessitate a belief in a Young Earth. [Young-Earth creationism] was not even granted an important doctrinal status by the historic Fundamentalists (c. 1900) who stressed the inerrancy of Scripture. That is, it was not accepted or embraced by the Old Princetonians like B. B.Warfield, Charles Hodge, or J. Gresham Machen who also held strongly to inerrancy. [The] founders and framers of the contemporary inerrancy movement (ICBI) of the 1970s and 80s explicitly rejected the Young Earth view as being essential to belief in inerrancy. 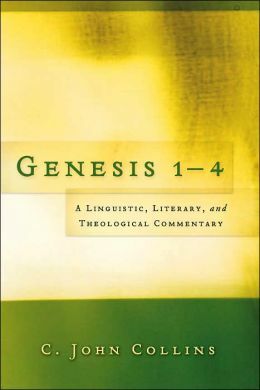 They discussed it and voted against making it a part of what they believed inerrancy entailed, even though they believed in creation, the “literal” historical-grammatical view of interpreting the Bible, a literal Adam, and the historicity of the early chapters of Genesis. Given this history of the Young Earth view, one is surprised at the zeal by which some Young Earthers are making their position a virtual test for evangelical orthodoxy. If the Young Earth view is true, then so be it. Let us not forbid the biblical and scientific evidence be offered to support it. Meanwhile, to make it a tacit test for orthodoxy will serve to undermine the faith of many who so closely tie it to orthodoxy that they will have to throw out the baby with the bathwater, should they ever become convinced the earth is old. One should never tie his faith to how old the earth is. 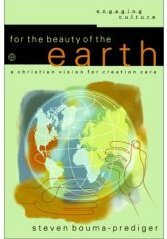 (1) The Young Earth view is not one of the Fundamentals of the Faith. (8) There are more important doctrines on which we should focus than the age of the earth (like the inerrancy of the Bible, the deity of Christ, the Trinity, and the death and resurrection of Christ, and His literal Second Coming). Geisler does not claim in this article that everything he presents is correct, only that they are real possibilities. Of course, Ken Ham of Answers in Genesis has been quick to respond: The Ultimate Motivation of this Prominent Theologian? I suggest that his ultimate motivation for attempting to discredit a literal six-day Creation Week is because he has been influenced by an authority outside the Bible: the majority view among scientists of very old ages, so that he can allow for or believe in billions of years. Thus he goes to great lengths in an attempt to justify various efforts by Christians to fit billions of years into the biblical record. I do believe (regardless of whether Dr. Geisler accepts this or not), this is his ultimate motivation. 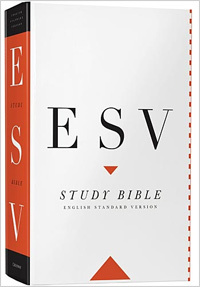 And sadly most Christian leaders (including Spurgeon, Hodge, Scofield, Warfield and the authors of The Fundamentals ) have followed suit with an equally shallow analysis of the Genesis text and other relevant passages. [Geisler] is really “clutching at straws” in an attempt to discredit biblical creationists and allow for millions of years. I assert that many great men of God today world are contributing to a generational loss of biblical authority because of their insistence on accommodating man’s belief in billions of years with the infallible Word of God. Such a loss of biblical authority is contributing enormously to a massive exodus of young people from the church (see Already Gone) and an increasing decline of Christian influence on the culture. The gist of what Ham says is that “young-Earth creationists read the Bible, and everyone else reads into the Bible.” I would respond by saying that to take outside evidence (whether it be evidence that the Earth goes around the sun, or that Earth is older than 6000 years) and going back to the Scriptures to make sure we have really read it correctly is not eisigesis (reading into the text), it is good hermeneutics (interpreting the text). It is highly debatable whether or not the “massive exodus of young people from the church” is due to churches teaching that the Bible does not require a 6000-year old Earth. For many young people, it is because they have been raised on Answers in Genesis or Dr. Dino materials, and figured out that much of it simply isn’t true. When these young people leave the church, it is often because they have been authoritatively taught that if young-Earth creationism isn’t true, the Bible isn’t true. And that is the tragedy of creationism that many Christian apologists, such as Norm Geisler, want to avoid. For old-Earth Christians to assert that young-Earth teachings are false, both biblically and scientifically, is not the equivalent of denying the truthfulness of Scripture. In general I appreciated the cordial and respectful tone that both debaters evidenced. Most of the debate was about scientific evidence, which I am not the one to address. The only comment that I want to make in that regard is that it was evident that Ken Ham believed that all evolutionists were naturalists—an identification that those associated with BioLogos would strongly contest. I commend Ken Ham’s frequent assertion of the gospel message. His testimony to his faith was admirable and of course, I agree with it. I also share his beliefs about the nature of the Bible, but I do not share his interpretation of the Bible on numerous key points. From the opening remarks Ham proclaimed that his position was based on the biblical account of origins. But he is intent on reading that account as if it were addressing science (he truly believes it is). I counter by saying that we cannot have a confident understanding of what the Bible claims until we read it as an ancient document. I believe as he does that the Bible was given by God, but it was given through human instruments into an ancient culture and language. We can only encounter the Bible’s claims by taking account of that context. One place where this distinction was obvious was that Ham tried to make the statement in Genesis that God created each animal “after its kind” as a technical statement that matched our modern scientific categories. We cannot assume that the same categories were used in the ancient world as are used today (genus, family, species, etc.). Such anachronism does not take the Bible seriously as what it “naturally” says. In the Bible this only means that when a grain of wheat drops, a grain of wheat grows (not a flower); when a horse gives birth, it gives birth to a horse, not a coyote. Bill Nye repeatedly returned to the idea that the Bible was a book translated over and over again over thousands of years. In his opinion this results in a product that could be no more trusted than the end result in the game of telephone. In this opinion he shows his lack of clear understanding of the whole process of the transmission of texts and the textual basis for today’s translations. [Ham] believes that there could be no death before the fall because he has interpreted the word “good” as if it meant “perfect.” That is not what the Hebrew term means. Furthermore, if there was no death before the fall, people would have little use for a tree of life. What is a “natural” interpretation—our sense of what it means or the sense that an ancient reader would have had? Ham actually made the statement that we have to read the Bible “according to the type of literature” that it is. Yet it was clear that he has done no research on ancient genres and how parts of the Bible should be identified by the standards of ancient genres. When Ham was asked what it would take to change his mind, he was lost for words because he said that he could never stop believing in the truth of the Bible. I would echo that sentiment, but it never seemed to occur to him that there might be equally valid interpretations of the early chapters of Genesis, or maybe even ones that could garner stronger support. He stated that no one can prove the age of the earth, but he believes that the Bible tells us the age of the earth. Nevertheless, it is only his highly debatable interpretation of the Bible that tells him the age of the earth. What if the Bible makes no such claim? There are biblical scholars who take the Bible every bit as seriously as he does, who disagree that the Bible makes a claim about the age of the earth. 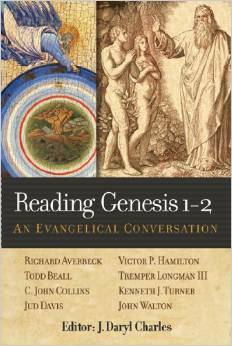 There is a lot more to the creation account in Genesis 1 than what one will hear from the young-Earth creationists. One can be fully committed to the truthfulness and authority of Scripture and not come to the same conclusions or interpretations that the my-way-or-the-highway young-Earth creationists come to.